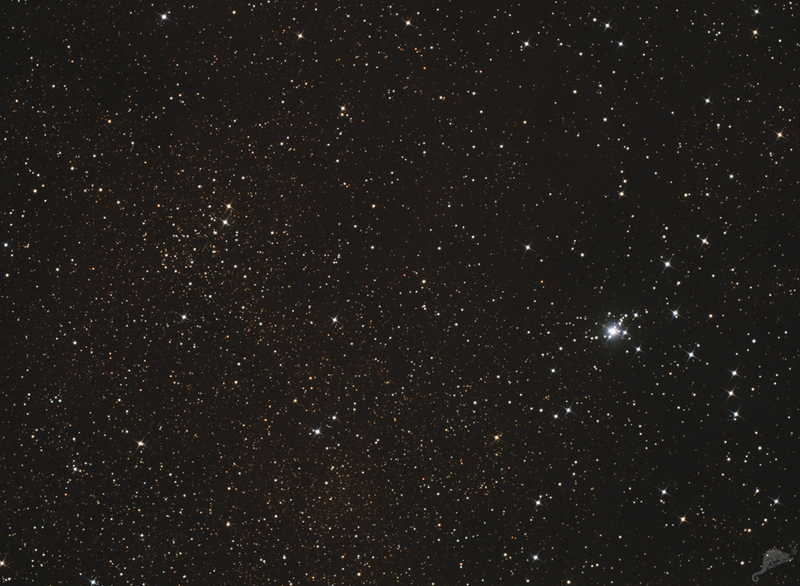 The small open star cluster NGC 6383 in the right half of the image is a real treasure in the sky. Its S - shaped star chain and the central bright star are striking. The distance to the cluster is about 3200 light years and the age of it is 9 million years. 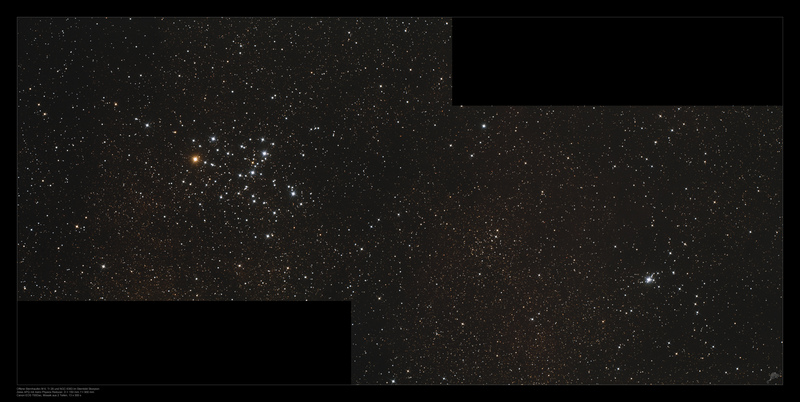 Not so noticeable is the open cluster in the left half, Trumpler 28. 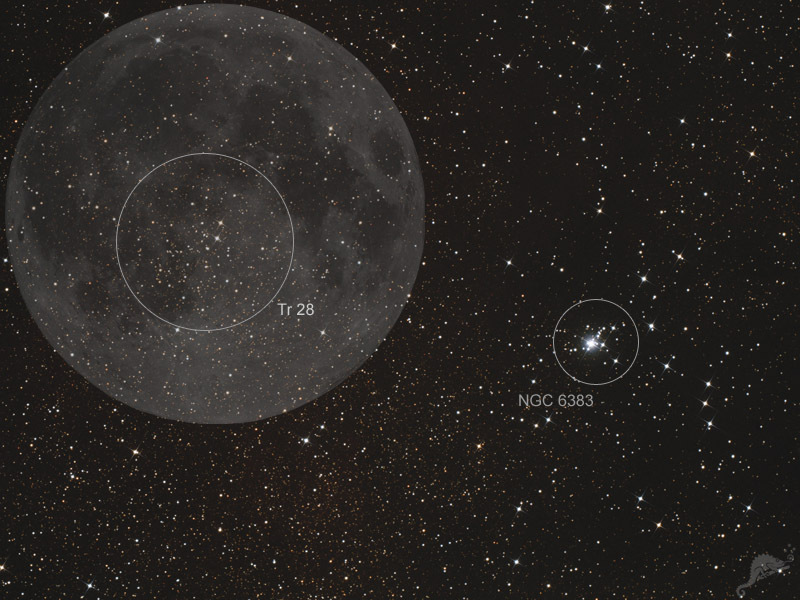 With 4400 light-years, it is further away from us than NGC 6383 and with 20 million years it is also as twice as old. 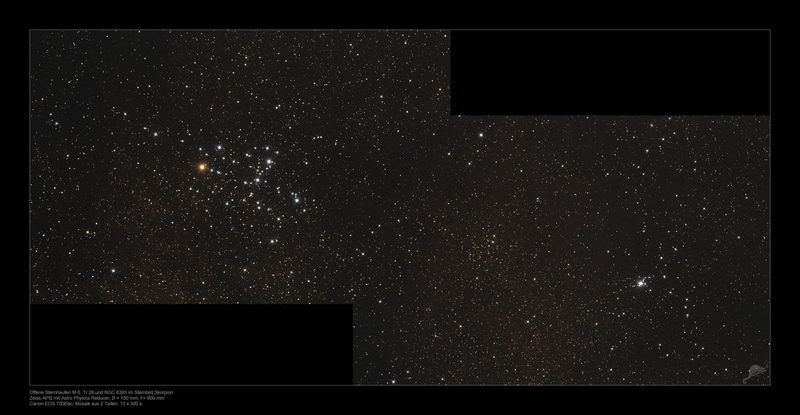 The two larger images show a mosaic with the adjacent cluster M 6.